SPSC Jobs September 2018 is listed below. 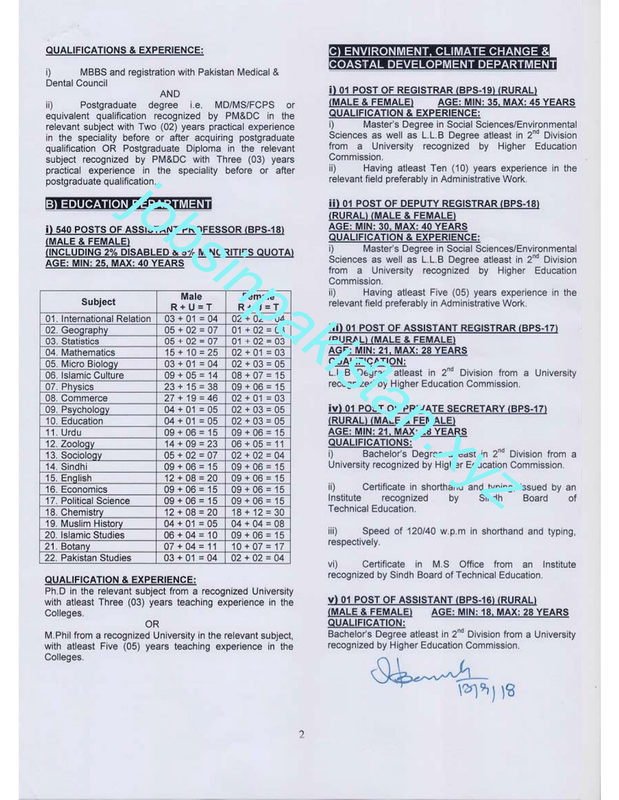 SPSC Advertisement No 08/2018 for SPSC Jobs September 2018 is announced on SPSC official website. SPSC (Sindh Public Service Commission) of Pakistan announce a 500+ jobs in more than 3 departments. 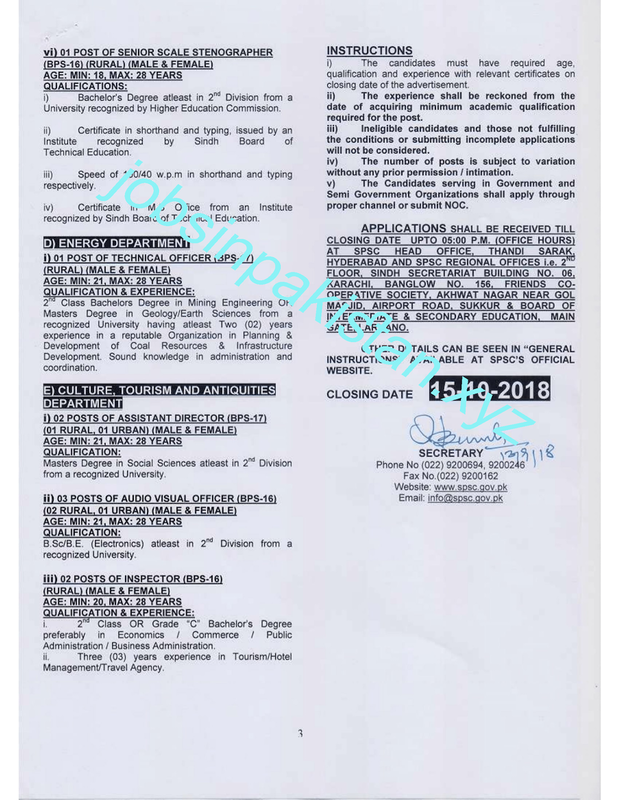 The last date for applying for jobs in SPSC is 15 October 2018. 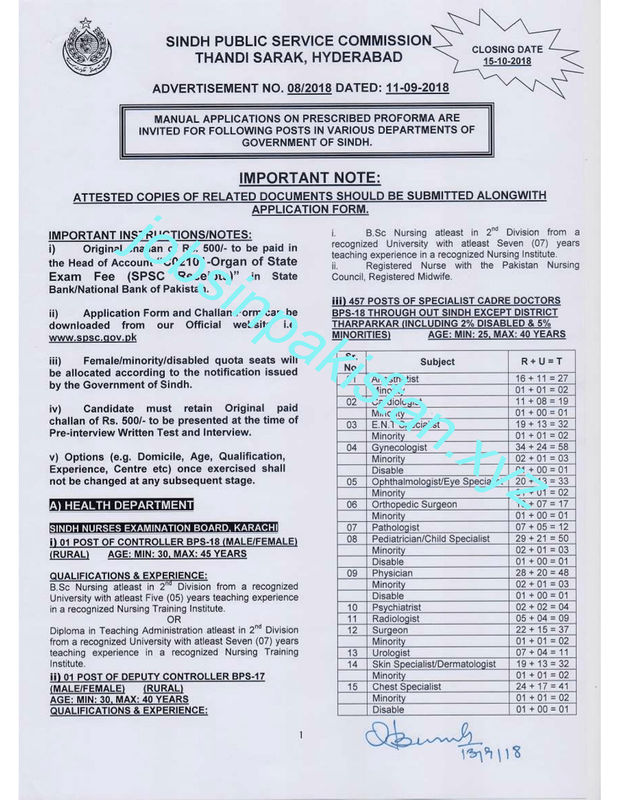 The applications form and challan form for SPSC Jobs September 2018 is available at SPSC official website. SPSC (Sindh Public Service Commission) of Pakistan require a applications for following empty jobs.